What the heck is going on in Wind Gap? 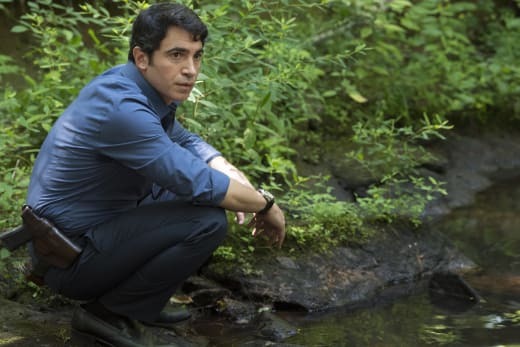 It was Natalie's funeral on Sharp Objects Season 1 Episode 2, and that meant the town stood together, but it also gave both Camille and Richard the perfect opportunity to do some digging into who could be a suspect. The most interesting part of this show is the mission to find out why Adora is as cold as ice towards Camille. Even in the past, Camille's sister got all the attention, and it looks like history is repeating with Amma. Favoritism from a parent towards certain siblings does not make for a healthy home life. With that said, we don't know the true extent of what Camille went through in her younger years. There was a scene that seemingly confirmed Adora knew all about Camille cutting herself in the past. Did you notice all of the knives were rounded up after one glance from Adora in the kitchen? If Camille's mutilating herself and drinking vodka like it's water, then some messed up things went down. With all of the flashes to the past, it's becoming increasingly apparent that it's not just one incident that's made Camille the way she is. Funerals are not easy for anyone, but I laughed out loud when Camille sparred with her mother to get the pen back. Camille is only doing her job and for a reporter, writing down notes is like second nature. Adora is desperate to keep up the facade and does not want her daughter making waves around town. She's one of the most influential people in Wind Gap, so it makes sense that her image is everything. However, she struggled during Natalie's funeral, and her Trichotillomania came back to haunt her. The only good thing about it was that it gave us a lot more information from the past. As a parent, Adora is overbearing, and there's a good chance that Amma is going to want to break free from her when she is old enough to leave home. I do want Camille and Amma to build a bond, but Camille should have been more vocal about Amma drinking outside with a killer on the loose. It actually made me wonder whether the teenagers had anything to do with the murders. It's bizarre that these teens would want to go out drinking in the middle of the day knowing very well that it could result in them being put in grave danger. I was intrigued by the child's tale about the woman in white. Whenever something big happens, stories do the rounds, and I was frustrated with Bill for not attempting to follow up on the story. A lot of children make up stories, and I loved the fact that Camille maintained the story from the kid should be taken seriously. Bill has not done much (that we've seen) to try and find the killer. Through two episodes, he's been on the periphery. With Wind Gap being so small, you would think there would be more of a drive to do something, but maybe everyone is still struggling to cope with another murder so soon after the last one. Then there's Richard, who is all about results. I was disgusted when he took the tooth out of the pig to know for himself just how strong the murderer had to be. He and Camille get along so well because they are the only ones who seem to be doing anything about the murders. Related: Game of Thrones Spinoff: Filming Details Revealed! It's very common that when someone dies, they are portrayed as one of the nicest people around, but there's more to Natalie than meets the eye. John's girlfriend said so herself when everyone met up at the Keene residence after the funeral. We know very little about the victims, but if Natalie was that bad, then it leads me to believe that John could be a suspect. He's been an emotional wreck. Of course, he could just be mourning the loss of his sister, but he's one to watch as the show continues. 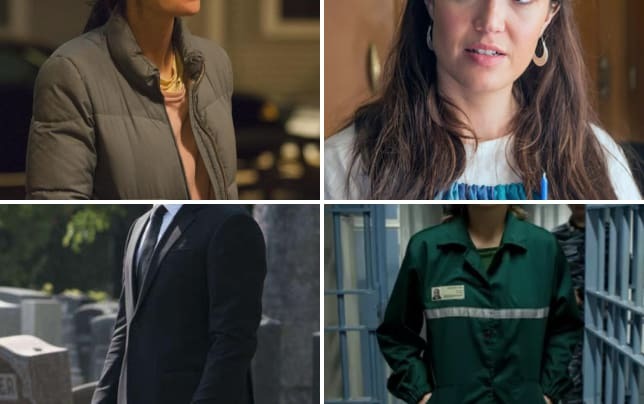 Emmy Nominations 2018: Who Got Snubbed? "Dirt" was a slow, character-building episode, and that's not a bad thing. I'm on board with getting to know all the finer details about Wind Gap so long as there's a good payoff in the final episode. What are your thoughts on the way everyone in the town is acting? Who do you think the killer could be? 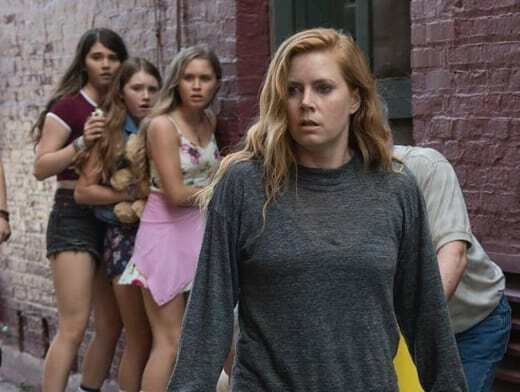 Sharp Objects continues Sundays on HBO. Permalink: You were never sweet. How dare you harass good people. Go report somewhere else. Permalink: How dare you harass good people. Go report somewhere else.